In general, a two-week holiday will cost upwards of £3,500 per person excluding flights for South Africa and Namibia. Elsewhere in Sub Saharan Africa from £4,500 per person. The holidays are usually very inclusive. Our other destinations include Mauritius and Seychelles, get in touch to discover how we can help your trips there too. The Okavango Delta is the jewel of Botswana’s safari destinations. But visit as well the hugely contrasting landscapes of the Chobe National Park, Central Kalahari and the Makgadikgadi pans with incredible quad bike excursions. 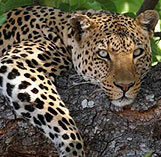 Don’t forget the Tuli reserve near the South African border: leopards almost guaranteed and ellies galore. Luxury lodges with top-class guides operating in exclusive private concessions with no crowds, as well as a variety of affordable to top-of-the-range mobile safaris. Peak game viewing from July to October but still good and much, much less expensive from December to March especially if you are keen on migrant birds. Some say there is often a rain shadow late December/early January. This is a country where air taxis are the way to move about. On the ground: open vehicles (don’t forget the pith helmet), walking, riding, quad biking and mukoro trips. Bushman culture preserved. Smart house boats on the Chobe river for an alternative look at animals. Combine with Zambia, Zimbabwe, South Africa. Culturally, streets ahead of the rest of sub-Saharan Africa. Ancient kingdoms and empires for fascinating historical tours. 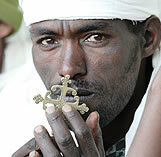 World Heritage site at Lalibela: eleven incredible rock-hewn 12th-century churches with dimly lit passages and grottoes. One of the great historical sites of the Christian world and a centre of pilgrimage. Lalibela and the other main sites –Axum, Gondar and Bahir Dar – make up the classic historic circuit. Usually a mixture of flying and driving to visit. Simien Mountains for some of the most dramatic scenery on the Continent. Native species such as gelada baboon, Simien wolf and walia ibex. Trekking possibilities. Bale Mountains National Park: There is a luxury eco-lodge here. Pristine wilderness with Afro-Alpine moorland. Black-maned lions, giant forest hogs, mountain nyala and Ethiopian wolves. 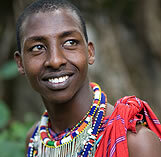 Omo River trips for ethnic tourism. Some areas have been over-exploited, hence the need for more remote trips with mobile camps. Wildlife not on the scale of other East African countries, but it is a top birding destination, with over 800 species of which 16 are indigenous and a further 14 shared with Eritrea. Few luxury hotels, so focus is on what you are going to see rather than where you are going to stay. Coffee is the main export and is especially good. 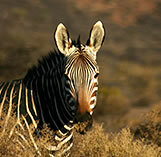 The “original” safari destination with the most beautiful variety of landscapes in Africa. The lakes of the Great Rift Valley contrast with the rugged Laikipia plateau and the Masai Mara, home to the most consistently good game viewing in Africa. Listen to the palm trees swishing their fan-shaped leaves in the breeze, inhale the fragrant scent of frangipani, gaze at the colourful and vibrant bougainvillaea and laze on the white sandy beaches of this famous coast line. Lamu island is still unspoilt and much less busy than Zanzibar. Whacky designs for many amazing lodges, expensive mobile safaris, brilliant value bush camps, small islands on rift valley lakes, hotels/lodges on the coast to be chosen with care and a few private houses to rent. April and May generally to be avoided with the long rains omnipresent. But there are exceptions to this “rule” ( ie Lamu in April is still often perfect) and low-season rates make for some good bargains. Good network of light aircraft transfers, charters. Closed vehicles with roof hatches in national parks, open vehicles on private concessions. Walking, boating, riding, diving, camels, balloon safaris. Tribal interaction. A former French colony where croissants are the norm for breakfast in the fascinating and attractive capital of Antanarivo or Tana for short. 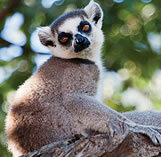 This is a biodiversity hotspot with 87% of all wildlife peculiar to Madagascar. No direct access from the UK and internal flights have a habit of being delayed but this is the place to see lemurs: the haunting cry of the largest of their species, the Indri, ranks as one of the great wildlife experiences. Scenically diverse form the drier south to the lusher north. Tropical rain forests, baobab forests and turquoise blue-sea swimming at special islands such as Nosy Komba. Hidden places and more dramatic scenery at Manafiafy beach with seasonal whale watching combined with authentic tented safari camp on the bank of Mandrare river. Highly experienced skippers can take you sailing in yachts to escape into a myriad of secluded bays and islands. Under rated destination: The warm heart of Africa. Wonderfully friendly people, green hills, blue, blue lake. Not the best for big game but this is gradually changing. Chill-out destinations on Lake Malawi (“the lake of stars”) or sail it on a luxury and unique catamaran. A brilliant beach place, nearly always warm waters, and so few people. Walk with fly camps in places few white people ever go. Liwonde National Park and Majete reserve for game; Nyika plateau for something very different and very beautiful; tea estates, forests. Riding, walking, water sports including diving, traditional game drives. Combine with Zambia, Tanzania, South Africa. 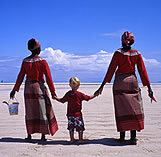 Best combination in Africa (in our opinion) of sand, sea and sun at the Bazaruto and Quirimbas Archipelagos. Walk for miles on golden powdery sand, plunge into translucent turquoise waters, run up and down dunes, speed along calm waters by motor boat. Brilliant dive sites and snorkelling. Step back in time on Ibo Island and the Ilha da Mocambique, a Unesco site. Safari is limited to Gorongosa and Niassa reserves. 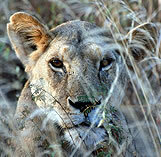 Gorongosa had a huge lion population in the 1960s when it had more visitors than the Kruger. Years of civil war decimated the game but it is now enjoying a renaissance and the reserve is a must-see destination. Maputo is one of the more colourful capitals in Africa. New luxury beach places opening up a mere helicopter ride away. 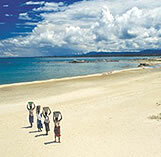 Combine easily with South Africa or Tanzania for Northern Mozambique and Malawi for Eastern Mozambique. Totally unlike all other “safari” countries: vast vistas, few people, amazing colours, light. Jaw-dropping wilderness scenes. Sossusvlei dunes, Namib desert, Damaraland ruggedness, Etosha game, wild skeleton coast, remote Serra Cafema, fish river canyon. Observing contrasting landscapes from the air is a safari in itself and a wonderful way to travel around this huge country. Roads are very good, distances large. Self drive easy. With the exception of Etosha, less big game than other countries. Luxury remote lodges, plethora of inexpensive guest houses. Some walking, quad biking, game drives, dune climbing. Skeleton coast safaris are one of the great African adventures. Visit all year but hot October-February. 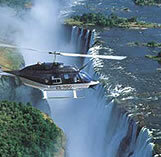 Combine with Botswana, South Africa but enough to do as a stand-alone destination. “A world in one country”: an oft-quoted travel slogan but true. Sophisticated small hotels with food to match, remote and wild locations, desert, karoo, winelands, more naturally occurring flower species around Cape Town than the whole of Europe, culturally diverse, historical tourism (Zulu/Boer battlefield tours are gripping), big game, scenically diverse. Kruger, Waterberg plateau, Madikwe, Kwazulu Natal, Drakensberg, “Wild coast”, Addo, Garden route, Cape Town, Cedarberg, Namaqualand, Kalahari. Variety is the key word when considering South Africa. Fly or self drive on good roads. All game and sporting activities including whale watching. Sea water cold in Cape Town area. Cape Town less good weather-wise from May-August. 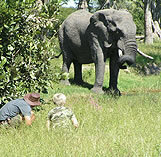 Secret time to visit: March/April is often a brilliant time to go; Cape Town usually still warm and game viewing good. Weather often gives you clear blue skies and it is less busy in the Easter holidays. Web sites often make all those hotels look appealing but we know which ones are really good. In the North to catch the great migratory herds: brilliant privately guided safaris under canvas combined with lodges encompassing Tarangire, Lake Manyara, Ngorongoro crater, Serengeti, Loliondo, Arusha National Park. Mount Kilimanjaro for the more active. In the Wild West: Kitavi National Park for game, Mahale for chimps and lake lazing by Lake Tanganyika. In the East: infrequently visited places such as Mkomazi, Pangani, Usambara Mountains, West Kilimanjaro, Saadani. In the South: The remarkable Selous game reserve for river, walking and vehicle safaris; Ruaha for game and walks plus culture and beach on Zanzibar or Pemba. Some hidden beach places at Pangani away from others. Catch the migration then, walk in the Ngorongoro highlands, fly-camp in the Selous, track chimpanzees, gaze and wonder at miles of African bush. Over half the world’s population of lions live here. Excellent light aircraft transfers. Road infrastructure only fair. Avoid April/May mostly but the Serengeti is fabulous then with wild flowers and no more rain usually than in January/February when everyone wants to be there for the migration and calving. Remember in the Serengeti: rain means game. Gorillas are the biggest pull. 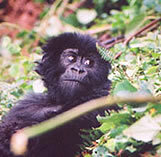 A trek in the tropical forests, sometimes strenuous is one of the great African experiences. A dramatic land of lush valleys, shimmering lakes and the famed Mountains of the Moon. “Africa’s Pearl” straddles the continent’s central and eastern regions in cultural and ecological terms, and provides an experience markedly different from the more traditional safari destinations in Africa. Very low numbers of tourists ensure you are not jostling for position around the lions. Safaris by road to include Queen Elizabeth and Murchison Parks as well as the less well known Semliki reserve (cross-over with central African species) and a visit to Ndali: a favourite place to sit and look out over the green-layered hills of the Toro Kingdom. Gorilla treks potentially easier in Rwanda as easily accessible from Kigali, the capital. Genocide museum and beautiful lodges by Lake Kivu. Combines well with Kenya. April/May less good, but in the forests rain is possible at any time. 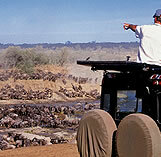 Relatively low numbers of tourists with some of the best game viewing in Africa. Famous Luangwa valley (leopard sightings galore) with top safari operators and brilliant walking safaris; Lower Zambezi with canoe trips, Kafue for mini Serengeti experience and gentle rivers, Victoria Falls and the smoke that thunders. From stylish comfortable lodges around Victoria Falls to simple bush camps and old colonial splendour (Shiwa Ng’andu) there is something for all tastes in Zambia. Off-piste places include Kasanka National Park for sitatunga, wattle crane and the spectacular straw-coloured fruit bat migration. Livingstone’s memorial is close by. Shoebills in the Bangwelu swamps. Liuwa Plains if you really want remote. Light aircraft transfers mainly as road system poor and time consuming. December to February sees the most rain but the green season has dramatic skies and brilliant bird watching. Combines well with Botswana, Malawi, Zimbabwe. For all the political turmoil this country is still a brilliant place to go on holiday and the staff in the lodges and hotels are seriously pleased to see you! Victoria Falls on the Zim side has a better view and the graceful Vic Falls hotel is such good value. Hwange National Park for top ellie sightings and more; Mana Pools for canoe safaris on the Zambezi and Matusadona on Lake Kariba will all reward. 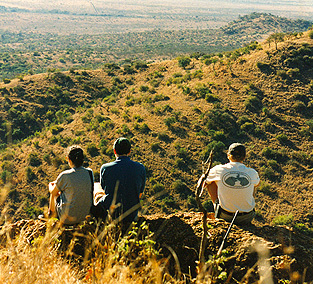 Matopos Hills for fascinating accounts of Cecil John Rhodes exploits and the beauty of the landscape with rhino sightings to boot. Ultimate luxury in comfort, experience and price at Pamushana Lodge in south east Zimbabwe. Accessible via Johannesburg on a direct flight. Combines with other Southern Africa countries.